As the countdown to December 25 continues — it’s less than a half week away . . . Yikes! — it’s tempting to shed one’s equanimity, isn’t it? In other less sophisticated terms, it’s easy to lose one’s cool. Funny, when living in the Northeast, Northwest, or the Midwest, when temperatures are dipping down as far as they can go, emotions often spike higher and higher. People at the mall can be reaching boiling points when it comes to waiting one more minute on line. Folks who are taking the easier route — doing all their browsing and buying online — can feel their passions bubbling over when UPS or FedEx loses or misdelivers an item. Ah, the unexpected “joys” of Christmas shopping. Just thank your lucky stars, then, that you’re not expected to behave like the romantic hero of the “Twelve Days of Christmas” song. Imagine having to locate and ship a “partridge in a pear tree,” followed by leaping lords, dancing ladies, and all manner of livestock. The only thing that seems even plausible these days are the five golden rings (or, more economically sound, gold-plated rings). That’s why I love looking back at the Holiday Gift Guides I’ve helped to compile over the past years for DOLLS magazine. 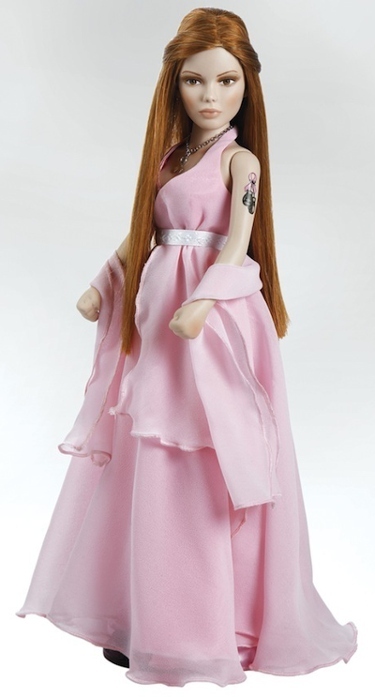 One of the things that truly stands out to me is the versatility of the doll artists and manufacturers who take part in it. They really run the proverbial gamut from A (adorable) to Z (zany). One of the companies that always participates in the roundup guide is Paradise Galleries, and their submissions really reflect that bridge between the sublime to the ridiculous. 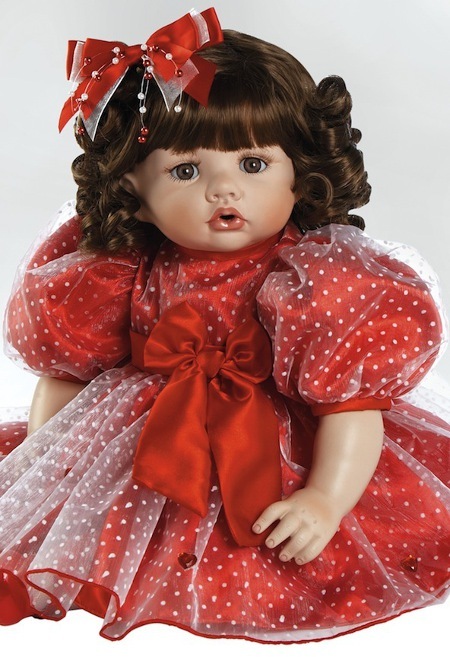 Their work really does span everything we doll collectors and aficionados love about the industry: it’s realistic; it’s sweet; it’s spirit-raising; it’s often made with a charitable mission in mind. 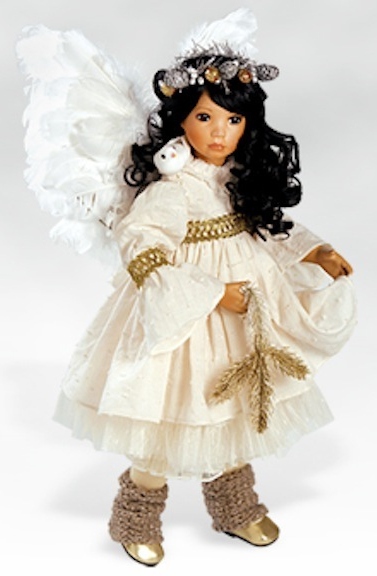 For this outing of the Doll Chronicles, I’m sprinkling the 12 Dolls of Christmas throughout it — the darling dozen creations are all from Paradise Galleries submissions, and each one was offered up as a Holiday Gift Guide possibility. 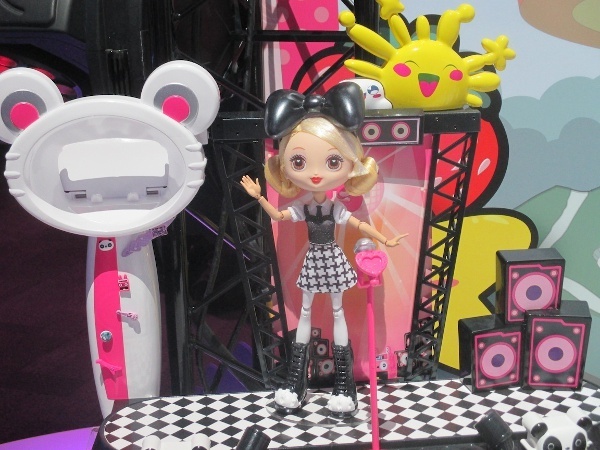 Just look at the array of dolls that populate this end-of-year posting. All of these were produced and made available by one company! That’s pretty impressive. 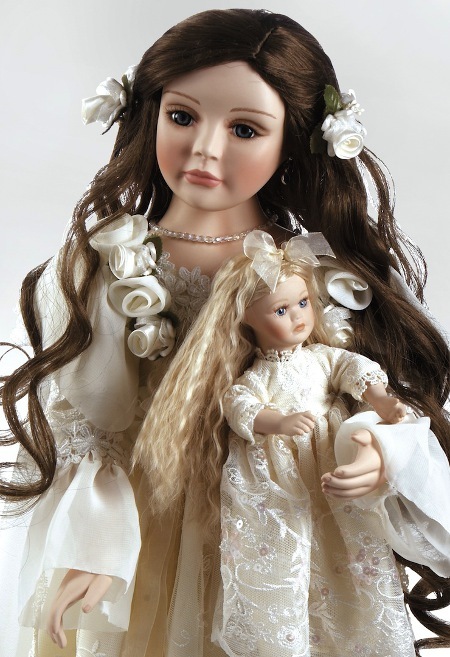 Since Paradise Galleries first came onto the scene — it was 1991, 25 years ago — they have kept up their commitment to creating dolls that boast quality craftsmanship at affordable prices. 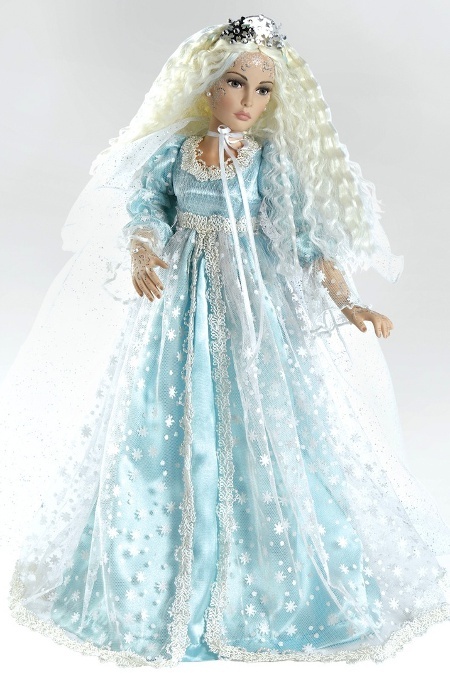 Part of the Charisma Brands family, the Paradise Galleries dolls are everything that both neophyte and veteran collectors can desire. I like the fact that they have been around for 25 years — that says a whole lot about reliability and accountability. Plus, think about what the world was like those many, many years ago . . .
Like the Spirit of Christmas Past, who made such a huge impact on a certain Mr. Scrooge, what were we all doing at Christmastime 1991? 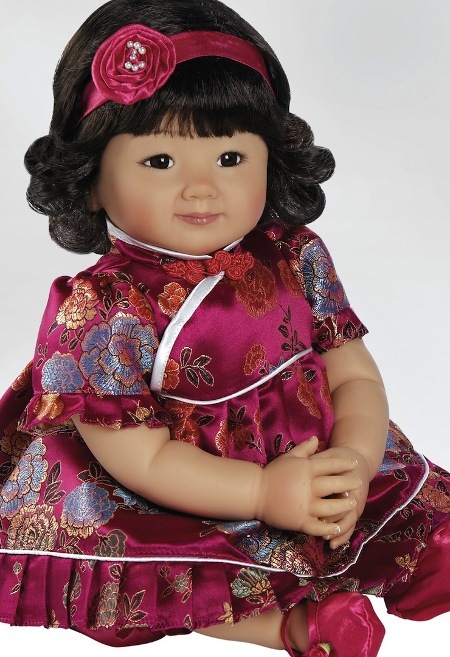 We know Paradise Galleries was manufacturing dolls for their customers, but the rest of the world? In 1991, the Soviet Union ceased to exist! Wow — that’s an earth-shattering event. The new Russian Federation began its existence and (supposedly) meant a thawing of the Cold War. In politics, Christmas, 1991, witnessed George H. W. Bush in the White House and Boris Yeltsin in the Kremlin. Now, that is a memorable occurrence. One empire fell, and another rose up. But what else was going on in the world? Movie lovers were clamoring to buy tickets, and betting on the upcoming Oscar race, for these enduring titles: “The Addams Family,” “Cape Fear,” “City Slickers,” and “Terminator 2: Judgment Day.” Two other big blockbusters came out in 1991 — and ended up dominating the Academy Awards: Walt Disney’s “Beauty and the Beast” and Jonathan Demme’s “The Silence of the Lambs.” Whoa, talk about versatility! Hollywood had a lot in common with Paradise Galleries that year — certainly unveiling something for everyone. The hit music makers for 1991 are a nostalgic mix of still-big names and a list of head-scratchers. (Another Bad Creation? Rhythm Syndicate? Surface? These are three groups that had Top 100 songs for that year.) Also, making the list for that year — and never seeming to fade into the background — are Mariah Carey, Rod Stewart, Madonna, Bryan Adams, and Lenny Kravitz. Yep, 1991 was a pop-music year that feted Paula Abdul as the Queen of the Charts, and her fellow big-selling singing stars were Gerardo (“Rico Suave”), Marky Mark & the Funky Bunch (yes, Mark Wahlberg after his underwear-modeling days but before his acting career), and the Divinyls (with an ode to touching one’s self). Yes, this was a recording world filled with variety. If you can think back to 1991, cable-TV was still in its infancy. I think there were 55 channels back then, not 550! Homebodies were watching “Home Improvement,” “The Fresh Prince of Bel-Air,” “Cheers,” “Designing Women,” “L.A. Law,” “In Living Color,” “The Cosby Show,” and “Murder, She Wrote,” to just rattle off a few. The diverse year bid farewell to “21 Jump Street,” “Twin Peaks,” and “China Beach,” which ended their runs. ‘Full House” was adding more cast members to its acting roster, and now 25 years later, it’s still on the air, cranking out new episodes on Netflix. A lot happened in 1991 — events of weight, as well as occurrences that were odd and off-beat — but one thing has remained eternal. Christmas is still a time when families gather together to share their love, their generosity, and their feelings for one another. For the religious, it is a time to honor and praise the birth of their Savior. 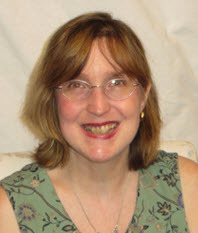 For the secular celebrant, it is a chance to act like a kid again — excited to both give and receive gifts. No matter what your level of faith is, Christmastime is a fleeting moment to extend goodwill to others by reaching inward and becoming the best you can be. 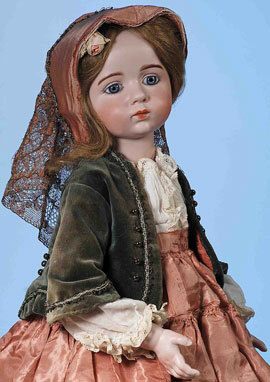 How fitting, then, that Paradise Galleries even has a doll to that end. 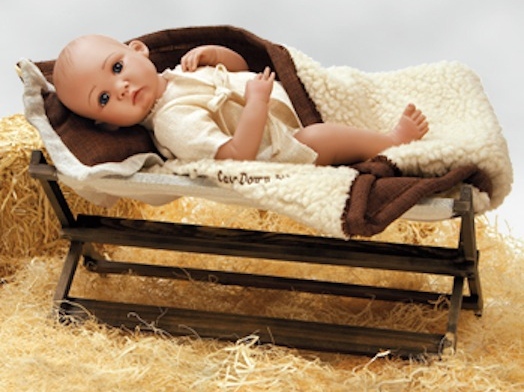 Their lifelike version of the Baby Jesus is a testament to the miracle of Christmas at its very best. Next2016 in Review: A Golden Age of Female Re-Imagining? 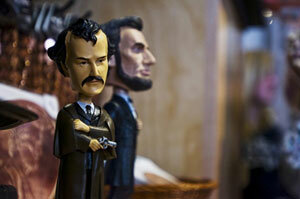 American Horror Story: Should a John Wilkes Booth doll light a powder keg of controversy?